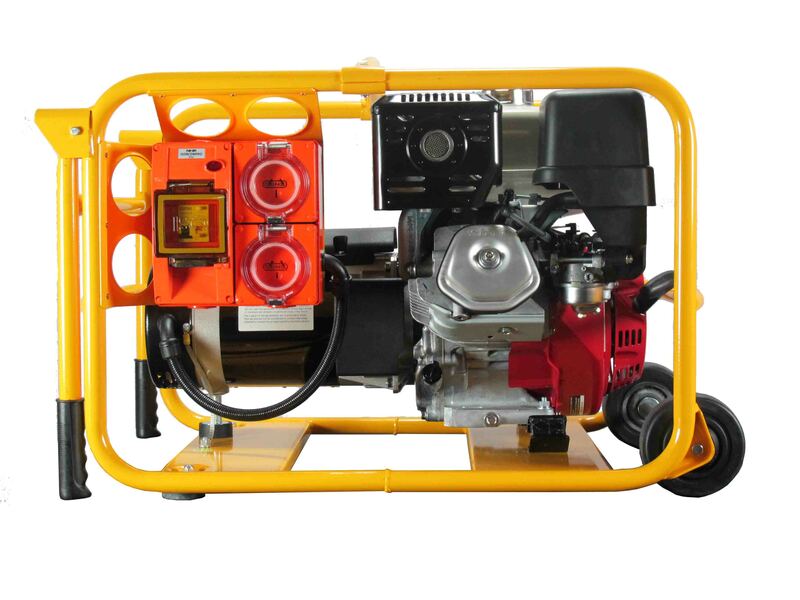 5,600W Petrol Powerlite Generator, powered by Honda, recoil start with earth leakage/main circuit breaker (RCD) protection, 2 weatherproof socket outlets and wheels & handle frame. 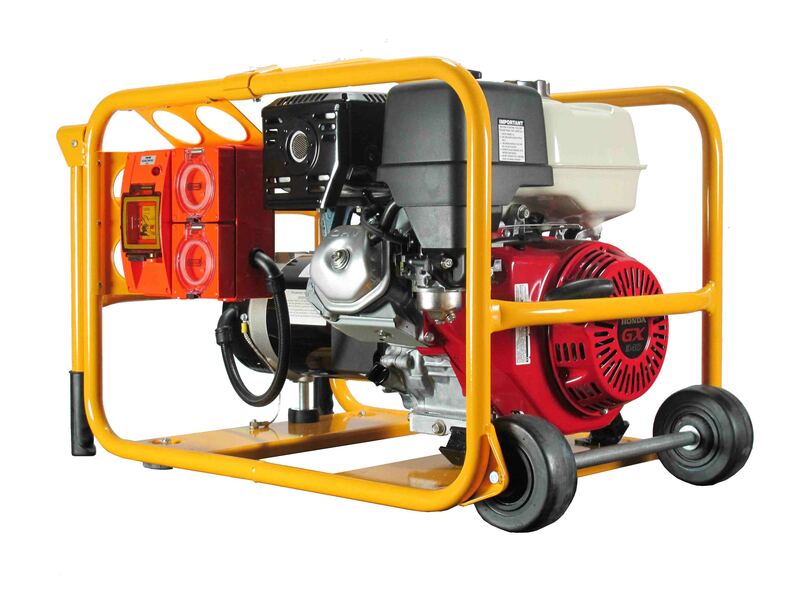 Ideally used for portable electric tools, small machines, electric pump up to 1.5kW, air compressor, brick saw, pressure washer, lights and household appliances, provided that the total power consumption at any one time is less than 5,600W. Can power a 140A welder by itself on light duty cycle and 2.5/3.25mm rods. 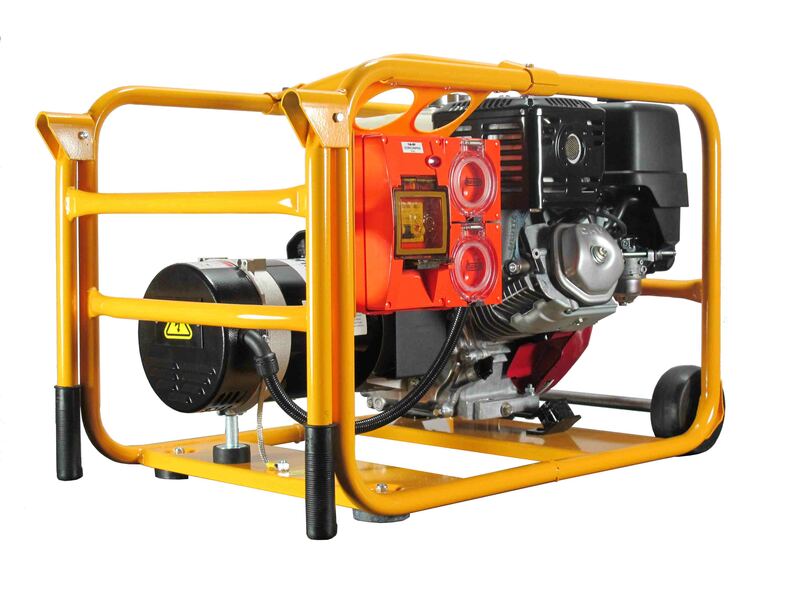 5,600W Petrol Powerlite Generator, powered by Briggs & Stratton, Vanguard, recoil start with RCD, 2 weatherproof socket outlets and wheels & handle frame.